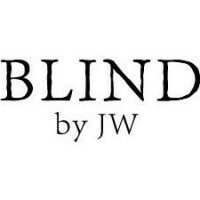 Blind by JW was founded in 2012 by two fashion designers.Graduated from Central Saint Martins Art and Design College from London and Polytechnic University in Hong Kong, both worked in luxurious fashion brands before setting up their own label. Elected for Best Emerging Fashion designer in London and won Hong Kong Young Fashion Designers’ contest. Blind is a contemporary east and west fusion Womenswear label inspired by the artistic creation of the traditional oriental Chinese Window frame made from wood lattices. Each pattern from the frame is transformed into dramatic geometric shapes, with the view that can capture a specific landscape reminiscent of a Chinese painting. Using the same concept and philosophy - to capture the fusion of contemporary east and west style and design with strong cultural influences. Creating garments with an attention to precision and beauty that takes you to look beyond what you see. Each pieces embraces to finishing and details with a lot of love and care to make and create, and to understand the importance of creating collection with easy to mix and match pieces at an affordable price. Our aim is to have all women who wears Blind to feel good, chic and to stay stylish effortlessly.